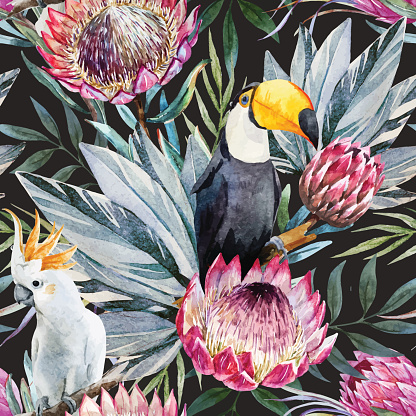 Seamless pattern with Protea flower art. Seamless pattern with watercolor pink protea and roses. Coloring book page for adult and children. Protea flower art. Exotic flowers set. Botanical vector vintage illustration.